This was my sixth trip to Vegas this year. Coming from humid Florida, I have a routine for that city. Gallons of water and lotion to compensate for the heat and dryness. Gear to protect against the excess of artificial light and sound. But this time in town for Workday Rising, Vegas felt a bit different. The remnants of Hurricane Rosa cooled it down to pleasant levels. The ceremonies honoring the anniversary of last year’s mass shooting gave the city a bit of humility. Prism was spawned from the Workday acquisition of Platfora. Its collaborative Worksheets grew from the acquisition of Gridcraft. 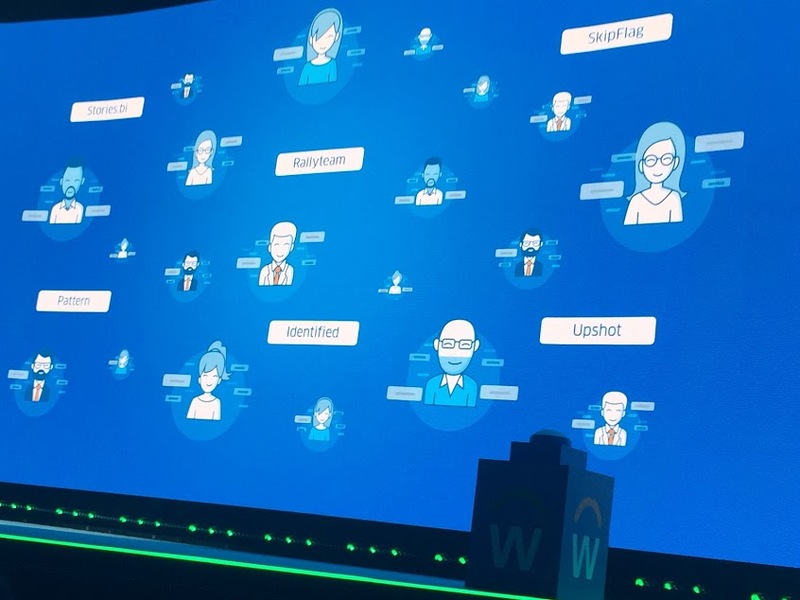 Many other small acquisitions other the last few years have helped built Workday’s machine learning chops. It is safe to say Workday has been building a third pillar of intelligent apps beyond its first two transactional ones in HCM and Finance. For a few years now, I have felt HCM world has been out of touch with the realities of the labor economy. As a result, we have ended up with gross mismatches where 6m blue collar and trade jobs are unfilled, and on the other hand we have too many white collar graduates with $ 1.5 trillion in student debt. Less than 10% of the civilian workforce is on the payroll of F500 companies. The rest are not in the so called gig economy. They are in Tier 1 and 2 suppliers. They are in accounting, advertising, attorney and other service providers. They are on platforms of companies like amazon, eBay and Apple. They are in franchises of companies like UPS and Ace Hardware. Talent management software has missed this transition to a clover-leaf labor model . You have an economy with rapidly changing occupations and skills (the Bureau of Labor Statistics recently expanded their list of occupations). Every occupation is being re shaped by a wide range of automation like robotics, drones, wearables. HR seems vaguely interested in automation trends. 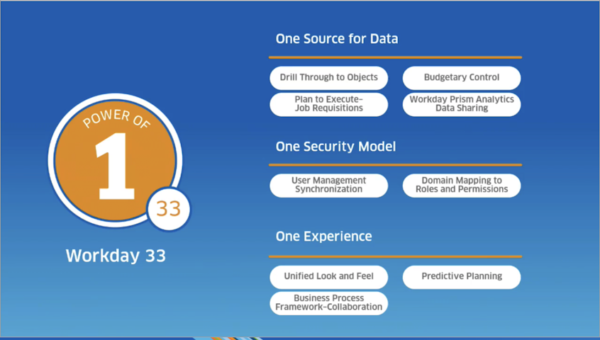 Given all this, I was pleased to see Workday announce their Skills cloud – a taxonomy of 55,000 skills based of winnowing down using ML from over a million user defined skills. That is a start to bring rigor to HCM, and hopefully to start to correlate it better to the macro job economy. Next up was Pymetrics which develops neuroscience games to help companies rethink their talent management strategies. I had previously profiled CEO Frida Polli on New Florence. Suplari provides unified insight into indirect expense spend – contracts, spend across AP, P-card, T&E, POs, and invoices, as well as usage and consumption data. CEO Nikesh Parekh joked the company name has roots in consigliore from the Godfather books and movies. Each of the portfolio companies I met was impressive and I wish I could have spent time with the other 9. Workday is becoming a similar gateway to the rest of the enterprise. While they are moving away from a transaction focus, their analytical and ML chops will open up new insights, and their platform will introduce a new set of developers and startups to the rest of the enterprise. It’s their way of transitioning from a system of record to a system of insight.